Unlike other companies on the internet (most of whom are simply printers or packaging companies who do thesis binding ‘on the side’) we don’t charge extra for gold lettering on the front cover and spine of your work. Please bear this in mind when comparing prices. We are the ONLY specialist printing and binding service in the UK to offer all inclusive gold lettering on both the front cover and spine of your thesis or dissertation. We also stitch your work, include ribbon markers, headbands and CD pockets. Hard binding with 3mm boards, in finest quality, University Standard Buckram book cloth available in Black, Navy Blue, Royal Blue, Red, Maroon or Bottle Green. For 6 copies or more, please emails us as discounts may be available, subject to conditions. We only use the finest quality 100gsm paper, using the very latest colour Xerox laser printers. Our printing is extra sharp and the quality of our binding is second to none. Black and White printing – 10p per sheet. 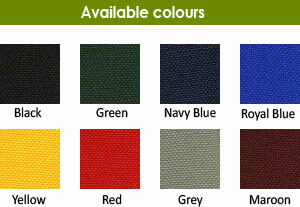 Colour printing – 50p per sheet. We package all work very securely and ensure they are insured correctly. They are dispatched for delivery guaranteed before 1.00pm on the third day after ordering (please note orders must be received before 10.30am on day one). We email the full tracking codes once posted so that you can track your order.